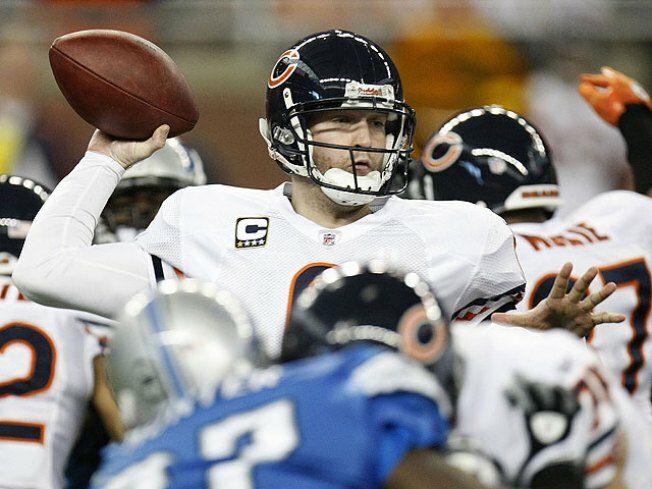 The Bears have ended their dismal season on a positive note, winning against the even-worse Detroit Lions, 37 to 23. Jay Cutler matched a career high for a second straight week with four touchdown passes. The Bears (7-9) won the final two games of the season and three of the first four. The problem: Chicago lost eight of 10 games between its strong start and finish. Detroit (2-14) was bad again after becoming the NFL's first team to finish 0-16 last season. Cutler's 1-yard pass to a wide-open Desmond Clark gave Chicago a 27-20 lead midway through the fourth quarter. Daunte Culpepper overthrew Calvin Johnson on the ensuing drive and Detroit settled for a field goal and a four-point deficit. The Bears then sealed the victory with Cutler's second TD pass to Devin Aromashodu.